Spikes in online retail sales bring unique challenges to your warehouse. And no other time of the year is more challenging for e-tailers than the long haul between Thanksgiving and Christmas. Whether you’re managing your own ecommerce distribution facility or working with an outsourced fulfillment provider, understanding the sales forecast and communication are key to an efficient supply chain. That information directly translates to how you organize your warehouse. To help you prepare, we’re sharing three tips to get the fulfillment center ready for peak season. Inventory that isn’t selling takes up valuable real estate, and cash, that you’ll need for peak. The definition of slow moving inventory varies by ecommerce business, but in general, it’s typically defined as SKUs (stock keeping units) that haven’t moved in 90, 120, or 180 days. A query of your warehouse management system (WMS) will give you a good idea of what product you want to move out of the warehouse now to make room for holiday inventory. To make the best decision about what to do slow moving or obsolete product, you’ll want to pull in members of your finance and marketing teams. Strategies for reducing inventory include re-merchandising on your website, sales, selling to a liquidation company or even donating to another organization. Whether you’re managing your own warehouse or outsourcing to a fulfillment partner, you want an efficient receiving process. In advance of the shipments arriving, get the big picture of the seasonal product mix and when the inbound shipments are scheduled to hit receiving. Coordinate with your purchasing teams to understand the product mix, include including types, quantities, weight and dimensions of the inbound inventory. Also find out if there are any unique storage requirements, such climate-controlled, that may impact your warehouse footprint. Communication from your product manufacturers and vendors plays a vital role. Instead of simply receiving a purchase order with the inbound shipments, ask your manufacturer for an Advanced Ship Notice (ASN) through an EDI (Electronic Data Interchange) transaction. This information will help the warehouse better allocate staff and space for the inbound product. 3. Make your space work. Peak season presents unique warehouse footprint demands that may require temporary configurations to support faster picking and replenishment. 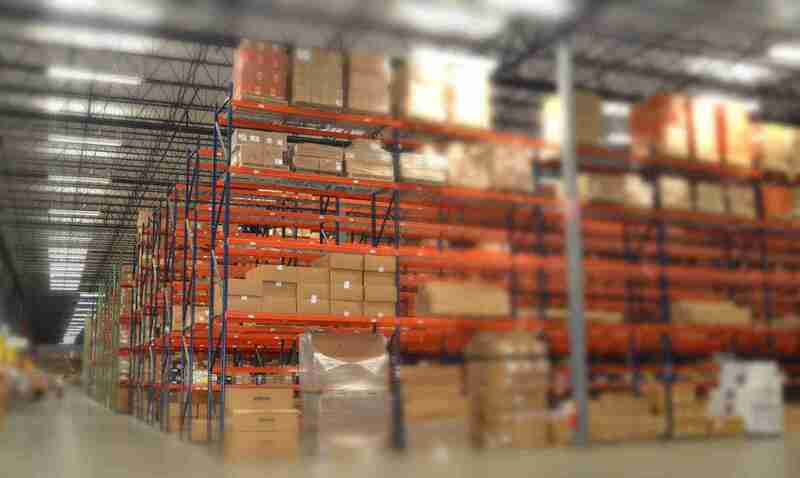 Your sales forecast typically serves as the guide to help make your warehouse space more efficient. Look at the timing of your product promotions and configure your warehouse so you have access to the SKUs you need when you need when the promotion hits your customers email. For example, if you are having a 12 days of Christmas promotion with a different item discounted each day, rotate the product to a high velocity pick area. Other opportunities include placing gift with purchase items closer to or at the packing stations and dedicated pack lines for merchandised forecasted to be high-selling, single SKU purchases. Getting your ecommerce warehouse operations in sync with your peak planning is vital if you’re going to meet your holiday revenue goals.